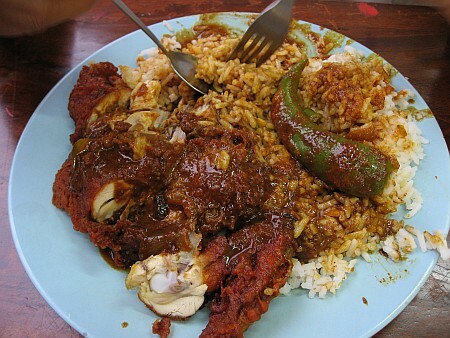 If a visitor to Penang asked me if he/she only had time to eat nasi kandar once, which nasi kandar shop would I recommend? 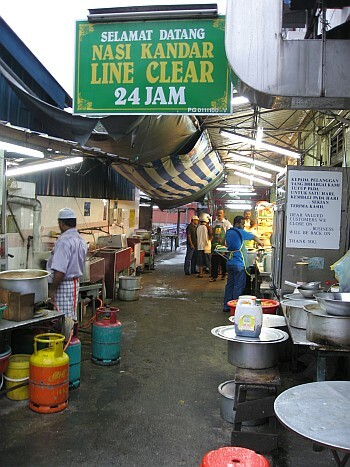 Without hesitation, I would recommend Line Clear Nasi Kandar. Of all the nasi kandar shops that I have gone to, this one beats others hands down. 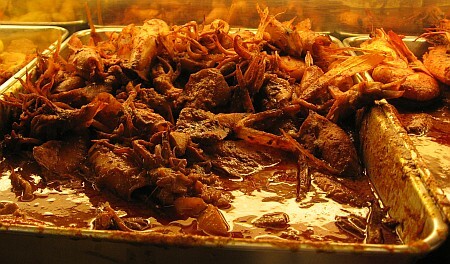 They have a large variety of dishes. 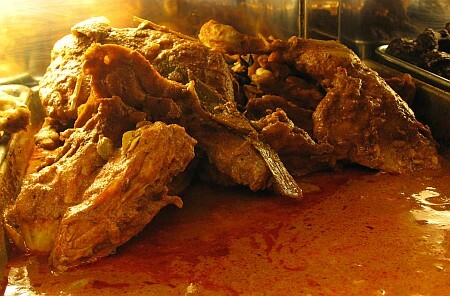 I try to cut down on meat, so I have not try the meat dishes there yet. But boy, they sure look really tempting. 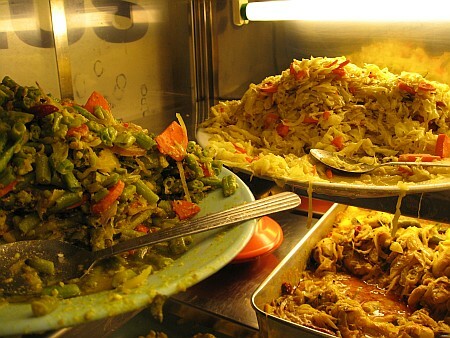 They have all sorts of curry dishes, a few variety of vegetable including something-you-find-in-all-nasi-kandar-shops bendi (lady's finger), friend chicken (which looks delicious), sotong, omelette, and lots of others. 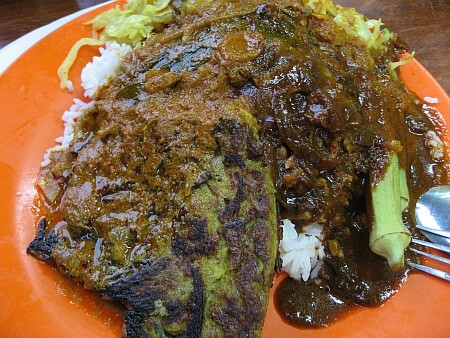 What kuah (gravy) to put on the rice at the end of it? Of course campur (mix) lah! Make sure they banjir it. Be reminded that it is not of the cleanest place. But once you look at the food, you'll start drooling over it and I'm quite sure that you won't even notice what's around you. They are open 24 hours a day, so you'll know where to eat if you're hungry in the middle of the night. They don't seem to stop cooking. They just keep churning out food non-stop. 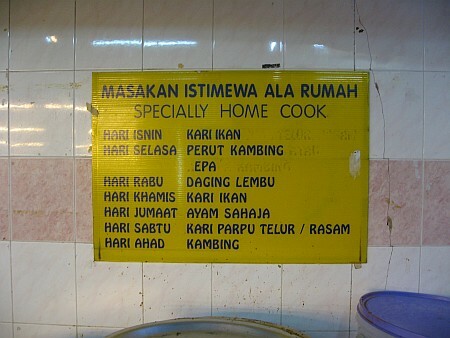 There's a sign board indicating their daily specialty. Haven't got a chance to try them out. Enjoy the pictures!